At Gilles Law, we are happy and proud to offer potential clients free consultations. 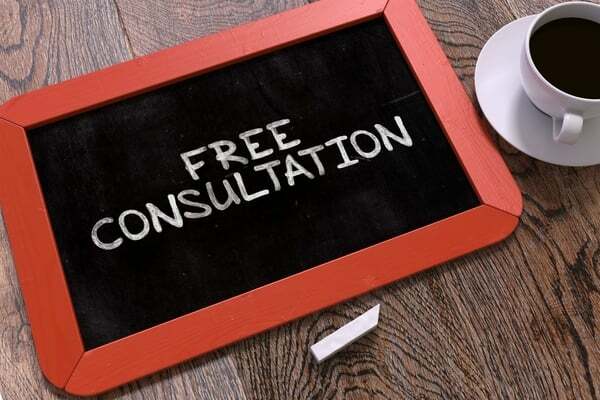 However, to avoid any confusion as to what a free consultation entails, we have taken a moment to provide this disclaimer explaining what a free consultation is and what it is not. Free consultations are available to potential clients only. That means that the person must be seeking to hire a criminal defense lawyer. For those merely fishing for legal advice, we offer consultations for a cost. This is because the purpose of a free consultation is to determine whether the parties are interested in working together and if such a relationship would be beneficial. The purpose of a free consultation is to provide a potential client with information regarding the services that we provide. It is also a chance for our criminal defense team to gather information from the potential client and to explain IF and HOW we can help them. If we can help them, we explain the options regarding how we can help them. We also take this opportunity to provide the potential client with price quotes. Finally, we happily answer any reasonable questions the potential client may have. The purpose of a free consultation is to provide a potential client with a sound idea as to what services we provide. We want our clients to feel comfortable with us, with our services, and with our prices. If the potential client decides he or she is not comfortable with any one of these things, we want them to have a chance to move on to another criminal defense attorney. We want him or her to be able to do this before paying us any money. This is where the free consultation comes into play. A free consultation also gives our criminal defense team an opportunity to determine whether a potential client will be a good fit with our law firm and vice versa. If not, we want to give the potential client the opportunity to move on and shop for a new attorney. We are a criminal defense law firm located in Charlotte, North Carolina. We practice criminal defense in North Carolina, traffic defense in North Carolina, and Criminal Defense in South Carolina. We also offer federal criminal defense in both North Carolina and South Carolina. We offer free consultations to individuals facing criminal charges. It is important for us to take the time to understand the issue that you are having so that we can make sure that you are facing a criminal defense issue in a jurisdiction that we practice in. That brings us to our final point. Another vital aspect of a free consultation is to determine whether the attorneys practice in the area in which you face your criminal charges. It is important for us to determine which state has jurisdiction in your criminal matter as well as which county (in NC) or city (in SC) is the appropriate venue. We practice state criminal defense and federal criminal defense in North Carolina and South Carolina. We focus our North Carolina criminal defense practice primarily in Mecklenburg County and the surrounding counties. We focus our South Carolina criminal defense practice primarily on the following South Carolina counties: Fort Mill, Rock Hill, Lancaster, York, and Tega Cay. Gilles Law also handles immigration and family law cases. We do not offer free consultations for either of these practice areas, however, as the free consultation service is available exclusively for criminal defense. If you would like to set up a consultation for family law, click here. If you would like to set up a consultation for immigration, click here. At Gilles Law, you will be served by proud criminal defense attorneys and a criminal defense team that takes the time to ensure that we will be able to offer you quality representation that you are comfortable with. This is the purpose of a free consultation and we are happy to provide these free consultations within the scope of what we have explained the consultation to entail. If you are in need of criminal defense services, call today to see if we would be a good fit for you.